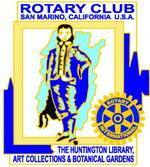 This roster includes member pictures, addresses and contact information and is only available to members of the San Marino Rotary Club. Your DACdb username and password are required to download the roster. It is a pdf file and is designed to be printed. The most recent updates to the DACdb database will be included in the download. If you see any errors please report them to the Club Secretary.